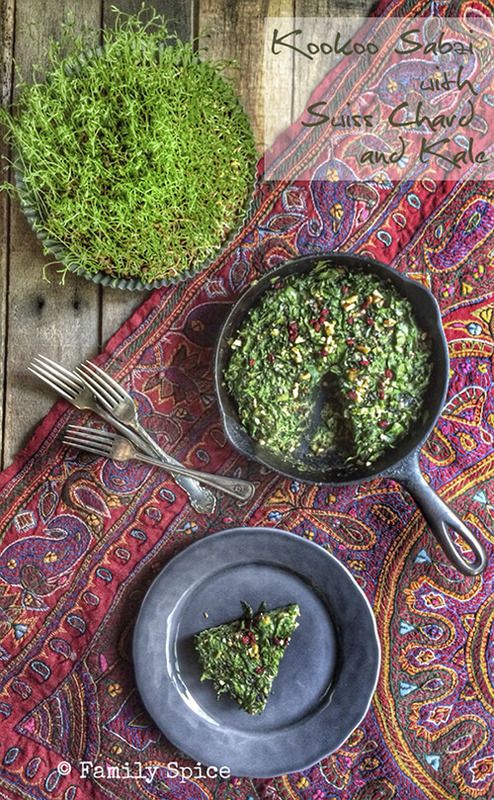 Kookoo Sabzi is a traditional dish for the Persian New Year (Noruz), the first day of spring. This version includes heart healthy Swiss chard and kale. In a blink of an eye, winter is almost over (well, for most of us) and Spring is around the corner. March 20th marks the first day spring and the first day of the Persian New Year (Norouz). I decided to grow my sabzeh this year for our haft sin, as my mother-in-law is still in Iran and she isn’t here to grow it for me. Yes, I’m spoiled! 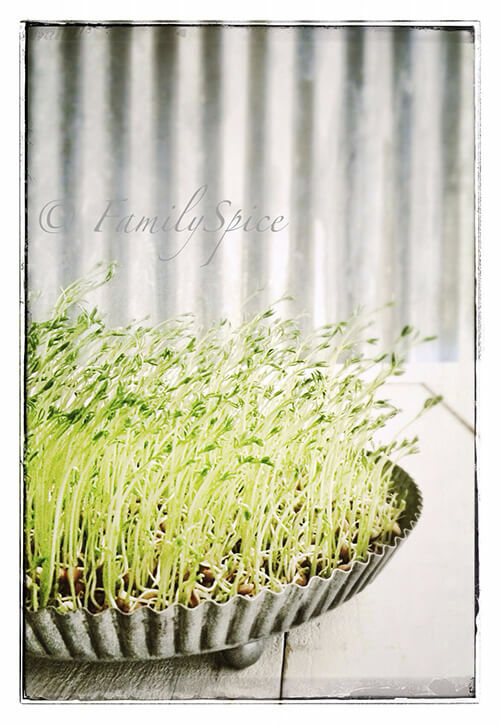 I experimented last month and sprouted my lentils very easily. Why didn’t I grow my sabzeh before? That’s when I decided that this Norouz would be one of change. It will be the first Norouz that my in-laws will not be here celebrating with us. We always gather at their condo to celebrate the new year. They will return at the end of the month, so this year the rest of the family is congregating at my house. I’m pretty excited as I always wanted to host, but I wanted to add my own twist to the traditional Norouz meal. Persians use a lot of fresh herbs in our meals, especially for Norouz. We make this delicious herb quiche (kookoo sabzi) which is crustless and very dense – more greens than egg. My Greek Mom, Mary/California Greek Girl, has been growing amazing swiss chard and kale this winter and she gave me a giant bag for me to enjoy. What a treat! They were delicious AND healthy in my kookoo sabzi. I still included fresh herbs, but these heart-healthy greens were definitely the star of the dish. Although this is a side dish to the Norouz meal, I like to enjoy it for breakfast with my morning tea. It’s a terrific way to start your day right. Mix in eggs with the vegetable mix. Pour mixture into an 8-inch cast iron skillet. Bake for 40 minutes, until a toothpick stuck in the center comes out clean. Cooking Tips: If you like, add 2 tablespoons of dried barberries to the mix. 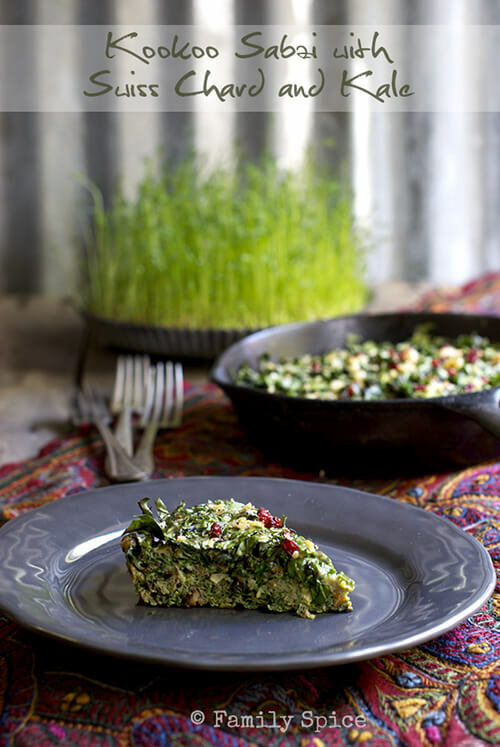 The more traditional recipe for Kookoo Sabzi can be found here – although I did sneak spinach in this one! Another twist to my Norouz this year is that I am celebrating ONLINE with my fellow Persian bloggers. Check out their terrific posts and recipes and learn more about this beautiful holiday! 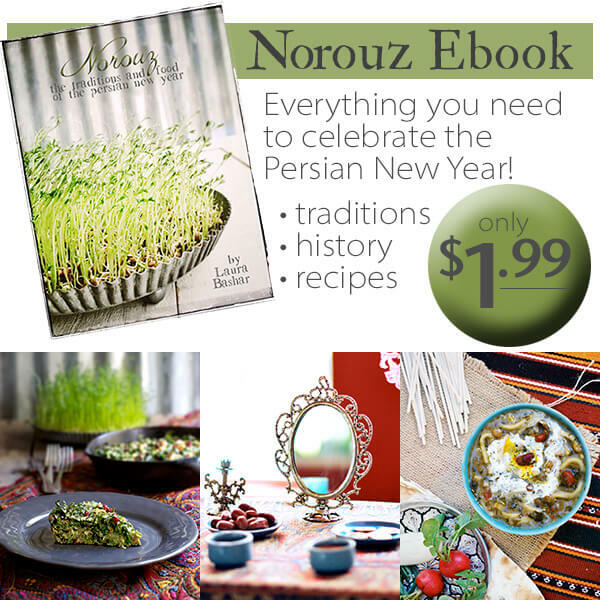 Want to learn more about Norouz and the Persian New Year? I have put together an ebook that has all the history, traditions and recipes of Norouz, in a beautifully photographed ebook. And it’s only $1.99! Learn more here! Kookoo-sabzi with sabzi polo is a must for Norouz! Your twist of adding chard and kale to the traditional herbs is brilliant. Your kookoo is thick and looks juicy. Thank you for sharing. The good news is that you will soon be growing kale, chard and other great greens! I hear you about saying goodbye to summer. I am thrilled to be out of these dark days of winter! I love your modern twist on the classic kookoo – new meets old and it looks amazing! This looks so delicious!!! I am such a HUGE kale fan that I can’t wait to try this!!!! This post is such a great idea for all the Persian blogs! Happy Spring to All! This looks amazing, and thanks for the mention. Thank YOU for your inspiration and your #GreekDinner!!! ‘If at once you don’t succeed, try, try again!’ For some odd reason my computer has refused to link up with this since it was published: am so glad I tried once more ere deleting ’cause this is a totally new recipe for me and one I can see I’ll like. Thank you also for the list of other Persian food blogs . . . .shall have a lovely ‘wander around’ after work 🙂 ! Hi Laura, so happy to have found you through Louisa. I love adding chard to koo koo as well. Your pictures are beautiful! Can’t wait to peruse more of your lovely blog. Happy Norooz to you and your family! Thank you for your sweet words and I hope you enjoy my recipes! Oh, I also love sneaking chard, kale and spinach in my khoresht, too! 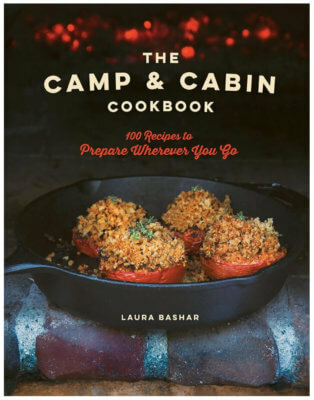 This looks delicious, Laura, and like something we could easily do here. The only ingredient I’m still curious about is Fenugreek. I know of it as a galactagogue! But I’m not familiar with it’s culinary applications. Does it taste like maple syrup??? I’ve never tasted fenugreek on it’s own. Persians use it in its dried form, but it is used fresh in Indian food. I don’t think it tastes like maple syrup, as I know it doesn’t turn our dishes sweet. We use just a little as it is VERY aromatic and can overpower a dish. Here is what wikipedia says about fenugreek. Next time I see you I shall bring you some, if you don’t find it in any stores. And you can still make this kookoo without fenugreek, as the dish is full of fresh, flavorful herbs.